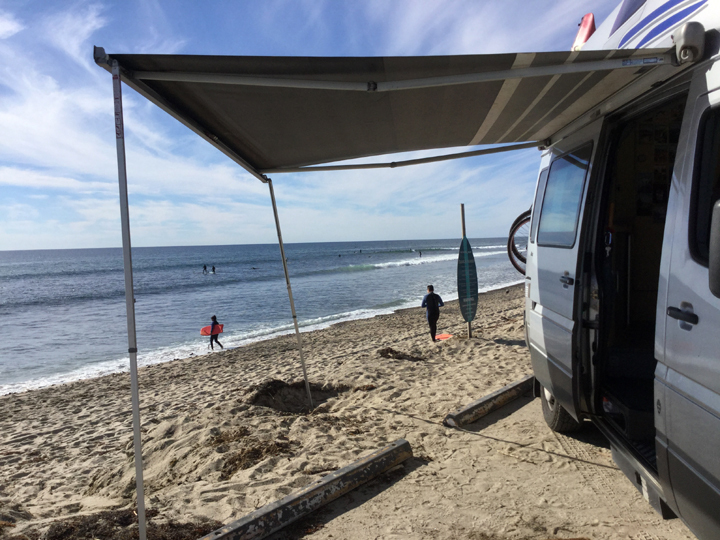 The surfing scene is alive and well in Southern California. Facing the ocean with feet in sand, you can almost forget about the megalopolis (and horrendous traffic congestion) behind you. 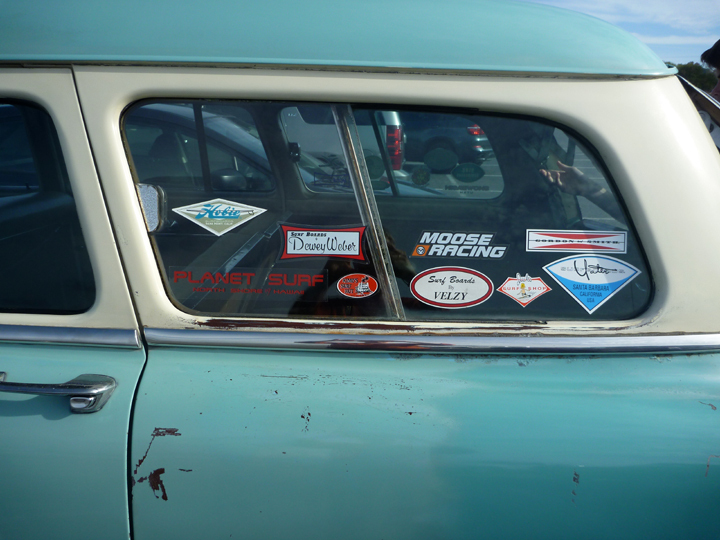 The beautiful clear blue water, sunny skies, and colorful characters appear much as they did 50 to 60 years ago. 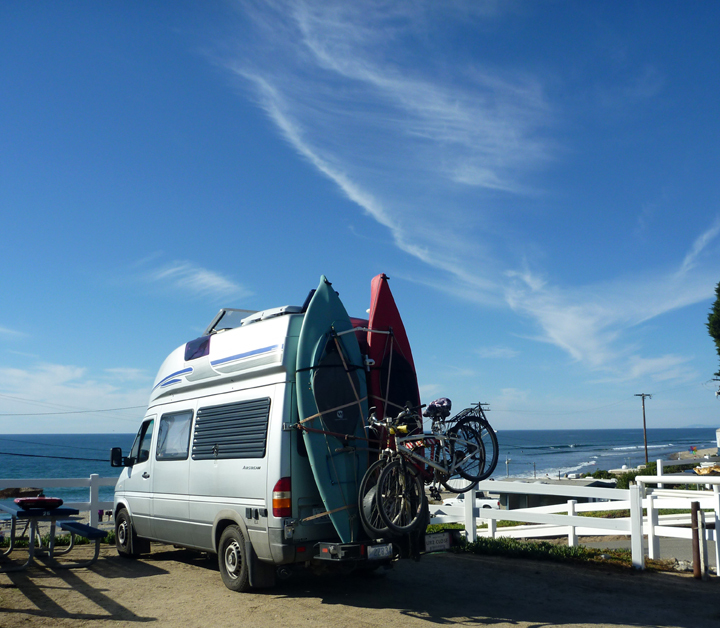 We visited many famous surf spots as we meandered down the coast. Day parking right on the beach. Overnight camp site with panoramic view. 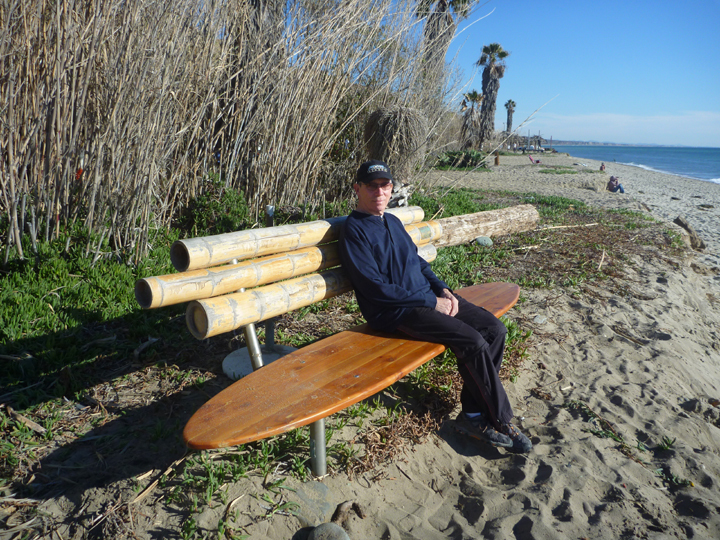 This surfboard bench was an Eagle Scout project. 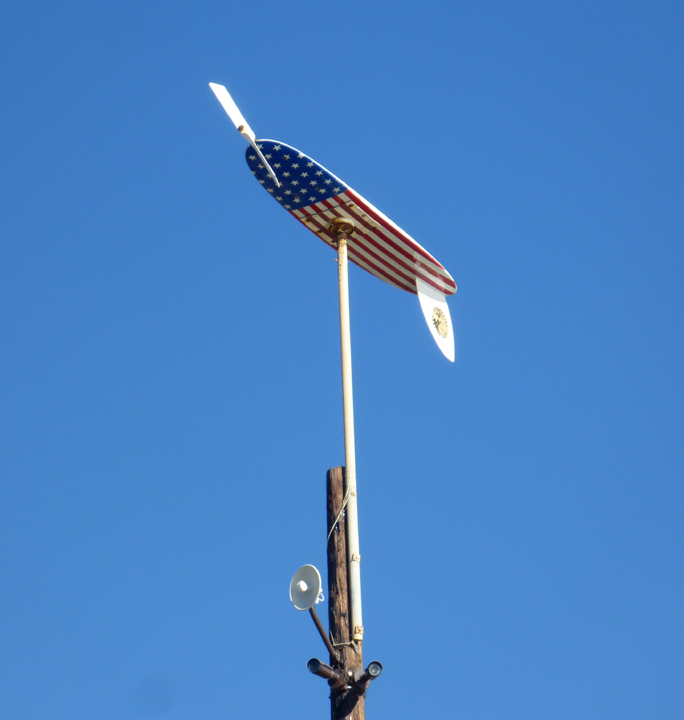 Not sure how this weather vane got erected. 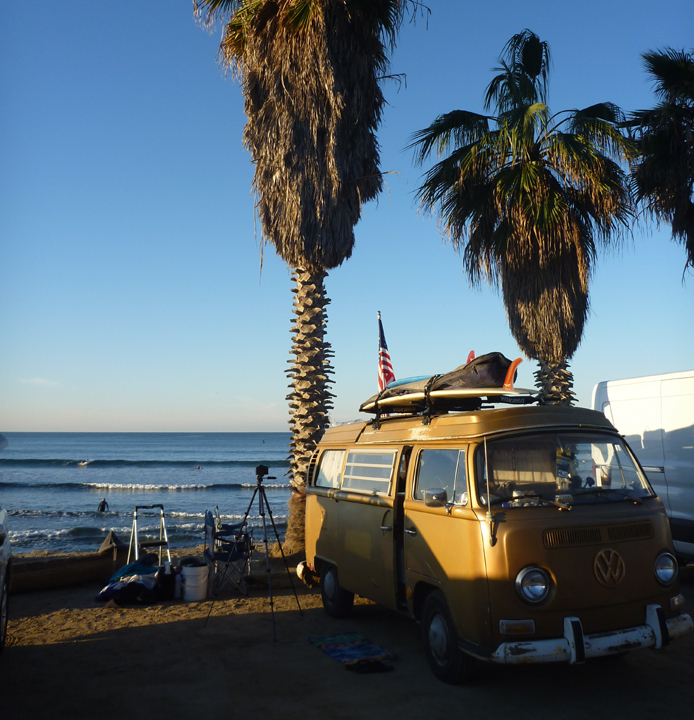 Long live the VW Vanagon! 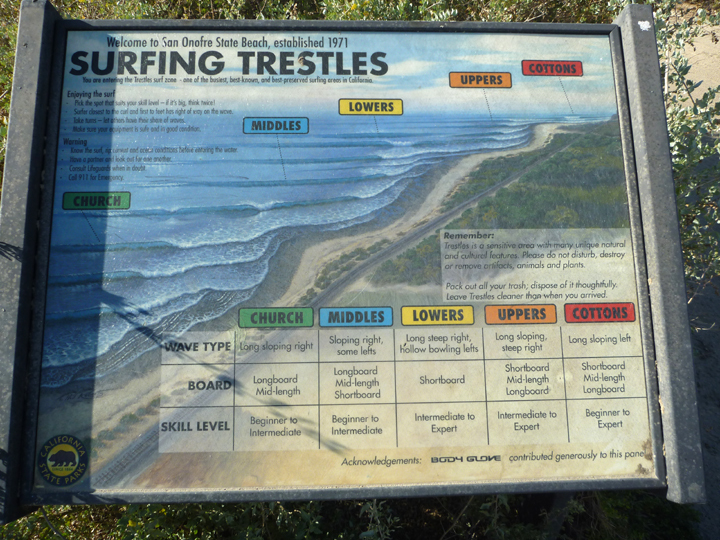 A short walk from the campground is Trestles where this placard explains what sort of waves to expect, what type of board to use, and what skill level is required. 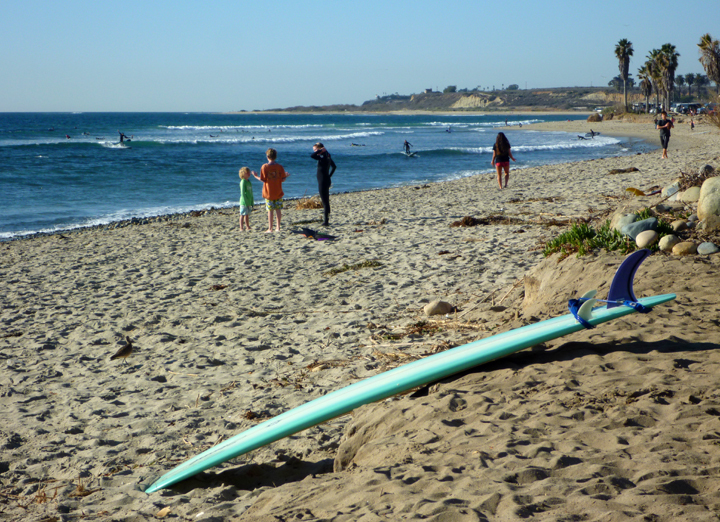 A young surfer waxes up his board behind his father’s classic wagon at Seaside Beach. Lots of father-son (a few daughters too) activity around. 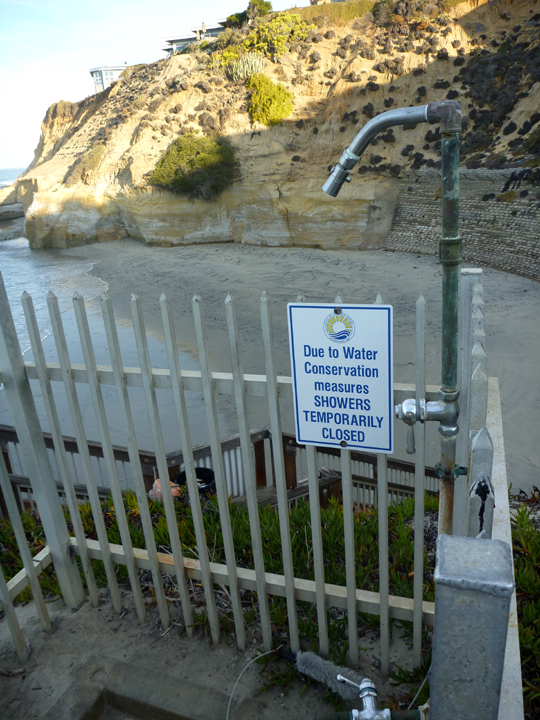 Water conservation efforts were evident. 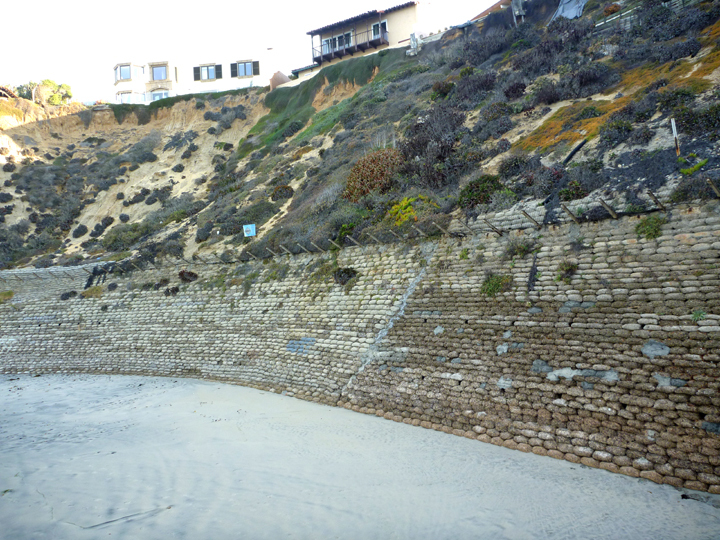 Various efforts to hold back erosion were also apparent. 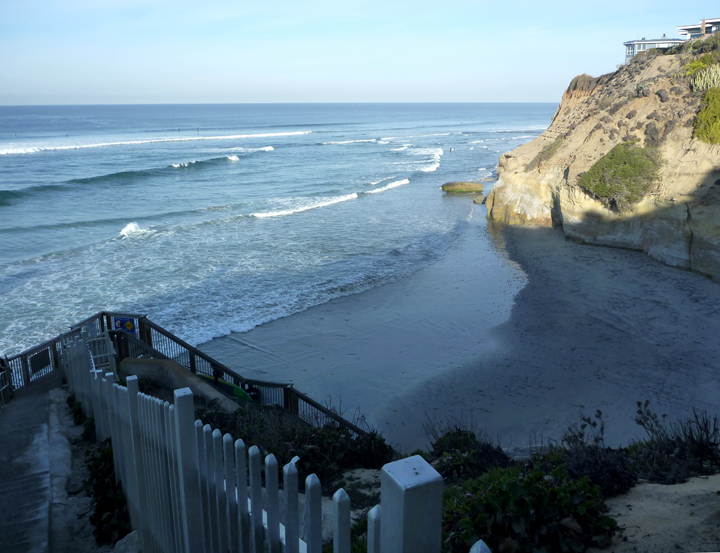 Solana Beach just 2 blocks from our boondocking spot. 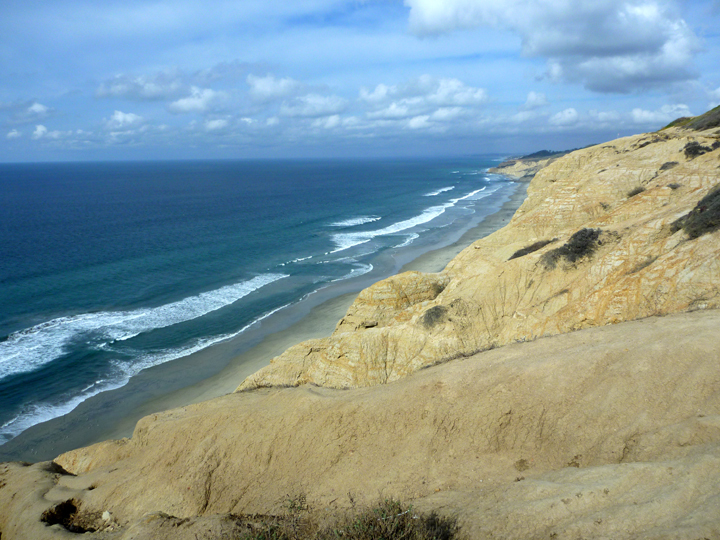 The Torrey Pines cliffs have featured soaring aircraft since the 1930s with many famous aviators earning their wings on the strong ocean breezes. Too windy to fly the day of our visit, but the view was nice. See photos of the usual para- and hang- gliding excitement here. 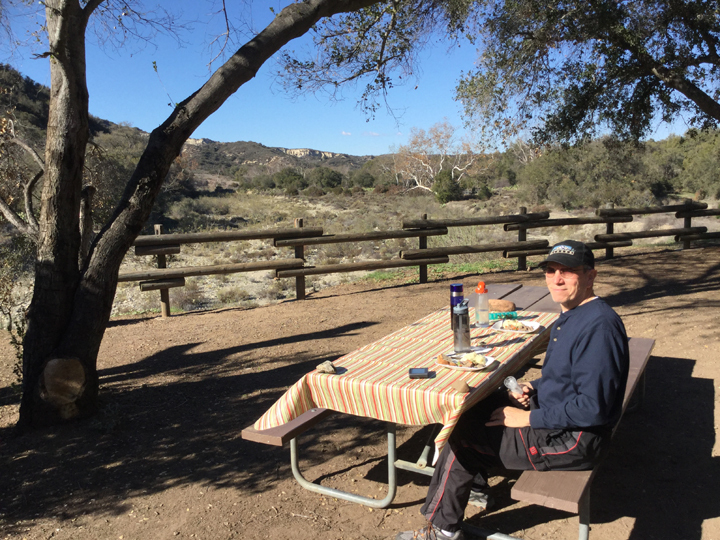 One night we camped a few miles inland at Ronald Caspers Wilderness Park. 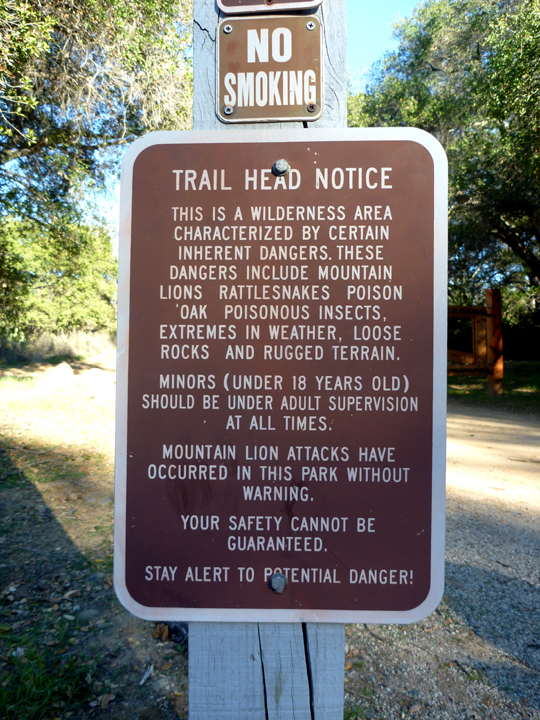 Despite the warnings above, we took a nice hike. 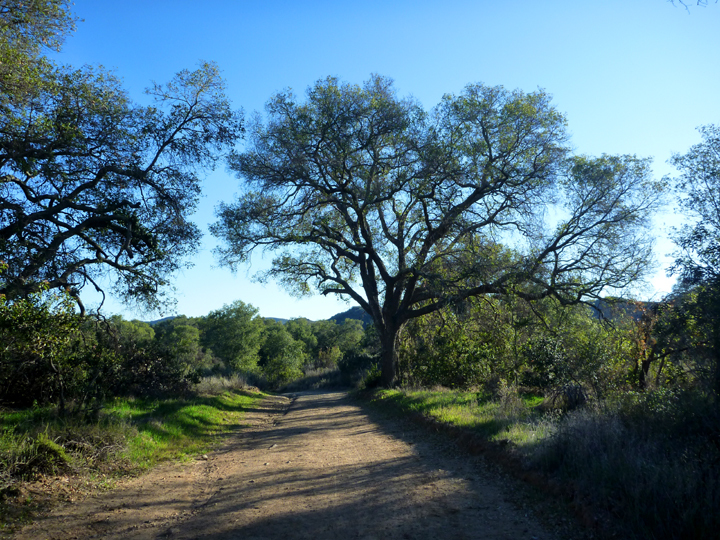 It’s tough for me to pass a California Oak without photographing it. 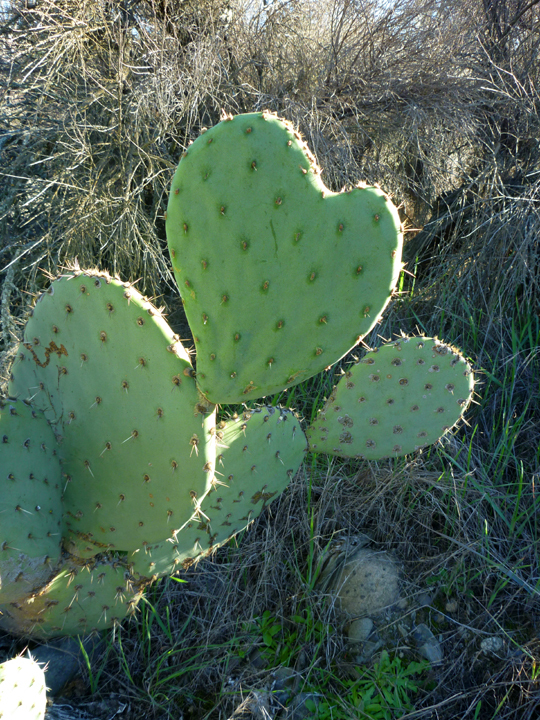 With four storms predicted with measurable rain (!) 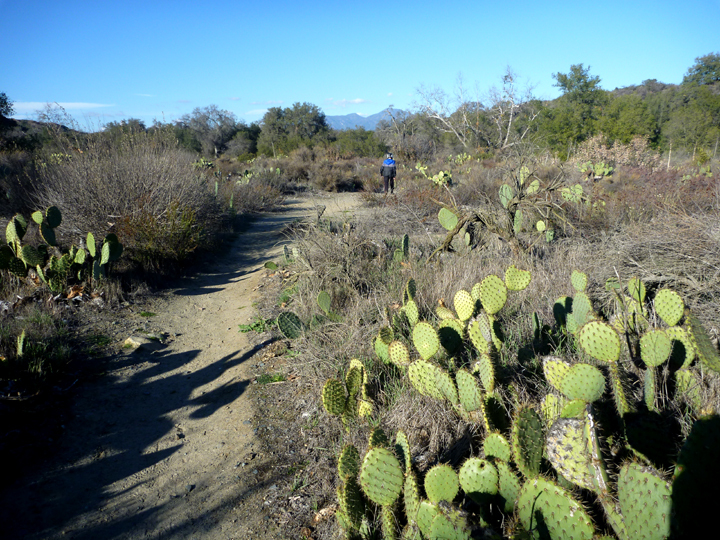 across all of Southern California, we headed for a friend’s house in Murrieta. Until further notice we will be comfortably residing in his guest quarters. Thank you, Bob! 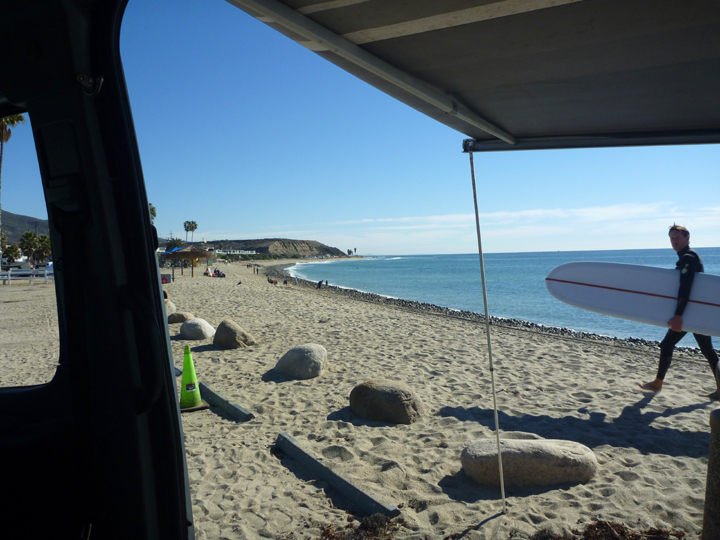 Love your photo narrative – of surfs up! Glad you are holed up in a safe comfy place now. Enjoy! 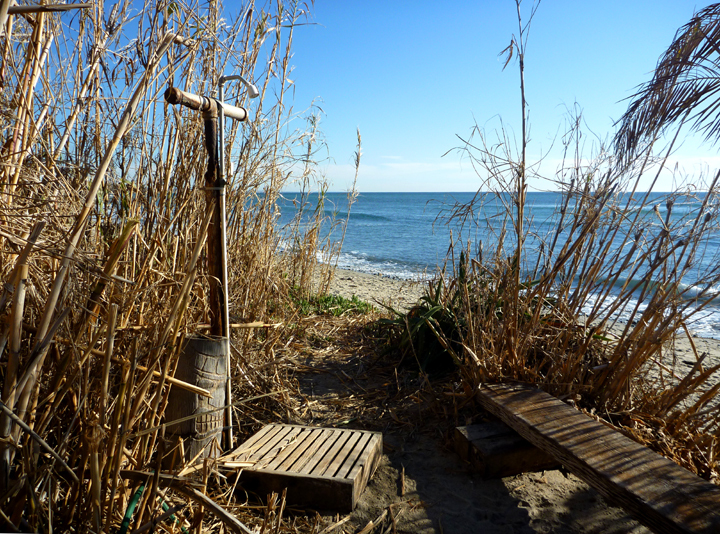 I could hear the song as I read it – nice to match the beaches with the words ; ) Bring your surfboard next trip!! 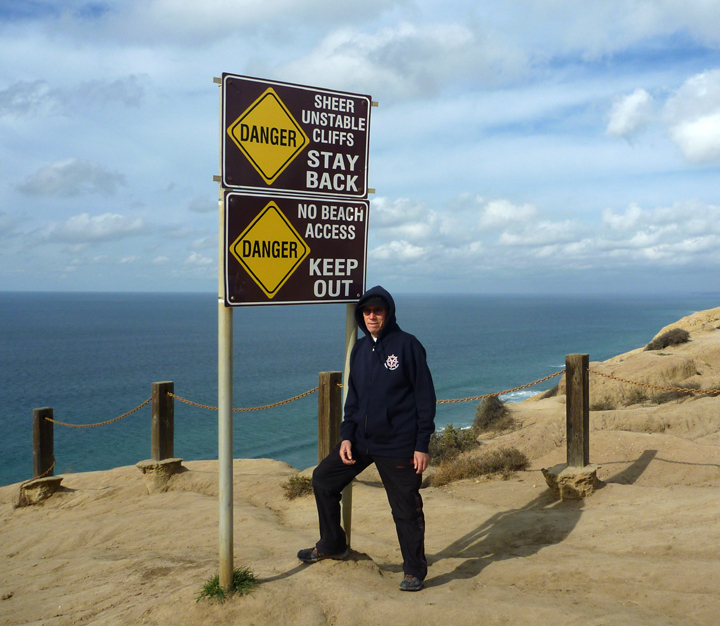 The waves looked so doable that I was almost tempted to borrow a SUP from somebody, but the water is cold so I’d need a wetsuit too. It was fun just to be there anyway.